Selling your home is a big deal. You want to get top dollar. You understand that the more you sell for, the more money you will make….basic math. The price you set for your home will determine many things thru the life of your listing…. not just how much you net in your pocket. A home that is properly priced will save you time, aggravation and money. The buyers today are educated. By spending time on the internet they know what to expect in a $300,000 home. Buyers also have realtors to advise them. As a result they know if your home measures up to the competition. It goes without saying the closer you are to the price a group of buyers is willing to pay for a home the more activity you will have. If you are not getting showings……….pricing is wrong. If you are overpriced you will get negative feedback and generic feedback. You are not up to snuff with similarly priced homes and the reaction is negative. If you are properly priced you will get questions about the home. You will get questions about details. Questions are good! It means the buyer may be considering your home. If you waste time overpricing your home and targeting the wrong buyers you will be on the market longer. After 60 days buyers begins to be suspicious of your house. Whats wrong with it? Why has no one bought it? It takes lowering your price below market value to regain the attention of the buying public. OK now I assume that aggravation grows as you need to prepare your home to show daily. I know this is a stressful process. Everyday you wake up get the kids ready for school, get yourself ready for work AND leave the house in perfect model home condition. I can hear the screams now….whose socks are these………who left a popcorn bowl out? The faster you sell the better. Pricing your home properly will usually allow the negotiations to go much smoother and quicker. A large percentage of home buyers are willing to pay fair market value. They just don’t want to overpay. Would you? If someone feels they are paying too much they will demand more repairs in the inspection phase. 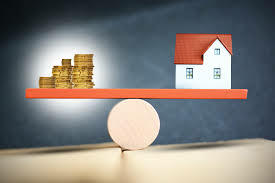 If home buyers feel they are paying a fair price they are much more willing to take on small inspection issues or be far more reasonable when negotiating home inspection issues. This is human nature. Everyone wants a fair deal. You will get top dollar when buyer’s want to compete for your home. When your home is priced right the buyers will be scrambling to buy, you get stronger offers and potentially create a multiple offer situations so you can choose the offer you like best. Pricing is critical!